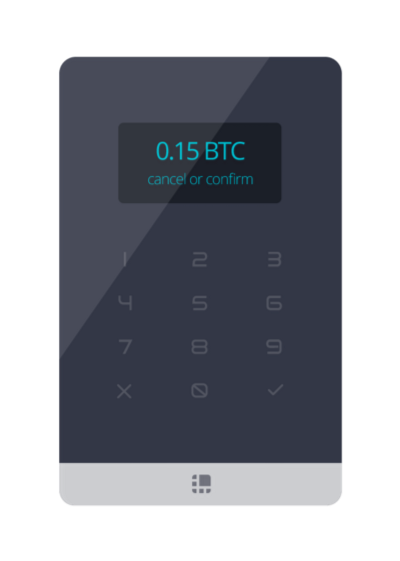 Ledger, designer of the Ledger Wallet, the first secure Bitcoin Hardware Wallet based on banking smartcard technology, is pleased to introduce the Ledger Wallet Blue, its next generation product adding a screen and buttons for trustless Bitcoin transactions validation. 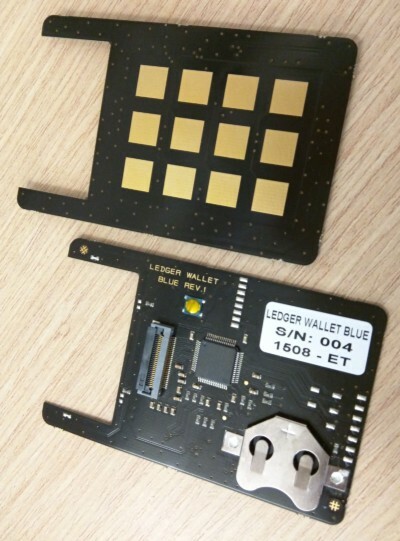 Ledger Wallet Blue integrity is ensured by the use of the ST31 contactless secure microcontroller from STMicroelectronics, protecting Bitcoin transactions from malware and private-information leakage, as well as validating the integrity of critical Bitcoin assets. Advanced security and contactless features of the ST31 make it a perfect fit for diversified and innovative applications such as Ledger Wallet Blue requiring strong hardware security and heavy data processing. Ledger Wallet Blue also features a BlueNRG BLE radio IC and a low-power STM32 microcontroller from STMicroelectronics, enabling best-in-class power management and full access to all platform features for developers and Open Source enthusiasts. “STMicroelectronics’ microcontroller and radio technologies offer a broad range of advanced features including hardware security, reliable connectivity, and low power consumption, allowing Ledger and other partners to create unique and innovative devices that combine banking-grade security with full system openness,” said Marie-France Florentin, General Manager, Secure Microcontroller Division, STMicroelectronics. Ledger Wallet Blue is demonstrated on Ledger/Business France booth 8.1E49 at MWC Barcelona, and will be commercially available in Q4 2015. Ledger is the leading actor in the decentralized digital identity security space, creating physical and digital secure Bitcoin Hardware Wallet solutions for end users and all decentralized value chain actors. Established in 2015, Ledger has offices in Paris, Vierzon and San Francisco.